You may not use the product or any of the product’s files to create Commercial, “For Sale” or freebies. Do not copy, transfer, share, redistribute or make available for download any of the files in their original or altered format. Do not convert any of my images/graphics to brushes, tubes or any other format. Do not “greyscale” any of the images and attempt to sell them as templates or any other type of product. Do not claim the product as your own. Feel free to resize or recolor any of the files to suit your needs. Products designated as Commercial Use (CU) means you may use the product to sell to your customers for their Personal Use only. You may incorporate my “CU” products into your full size kits or tagger size kits that you sell for personal use only but they should never exceed 50% of the items in the kit. 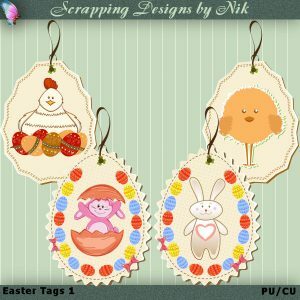 You may incorporate my “CU4CU” products into your full size kits or tagger size kits & sell them for commercial use provided they do not exceed 50% of the items in the kit. You may not offer my products as freebies. You may NOT sell a product that contains only finished results of my scripts. The product or any of the materials supplied within the zip files may not be copied, transferred, shared or redistributed in their original/ purchased format. Do not upload to any web site, groups or file sharing sites. Do not claim the product as a whole OR any of the individual files supplied with the product as your own. 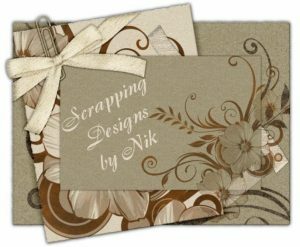 You may use my products to create derivative designs in digital downloadable card making backgrounds, vellums, toppers, pyramage, and decoupage, including placing the original image which has been used in your derivative craft sheet as a discrete, separate element providing everything is merged into jpg format no more than 150 dpi. 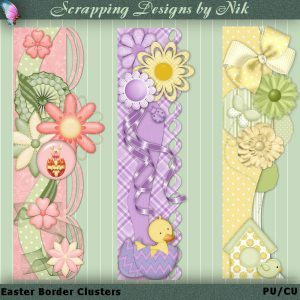 You may use up to 50% of an individual product in creating your craft sheets however you may also combine items from several different products in completing your craft sheets. You may not convert my products to any another format such as brushes, tubes, templates and/or overlays and then attempt to sell them for any type of use. My products may not be used to create designer resources under any circumstances. 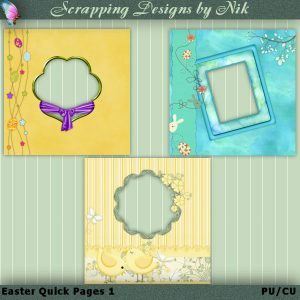 You must credit Scrapping Designs by Nik on the web site or on the craft sheet where your designs will be sold. In the case of products designated as CU4CU you may sell to your customers as CU OK (not as CU4CU ok). Products designated as CU OK can be sold to your customers for their Personal Use only. General InformationMy products may NEVER be used to create or promote anything obscene, immoral or illegal. Enjoy & keep on creating!